Real Poison add a bit of immersion when it comes to use it and make some real damage. If you're like me that think poison is useless then i think this mod is for you. I don't really like how Skyrim manages the way the poison works like it just damage hp one time, doesn't seem right to me, so i made this little tweak that instead of making a "one hit poison" it will gradually decrease target's hp, for a few seconds giving the impresion of how a real poison would work overtime. 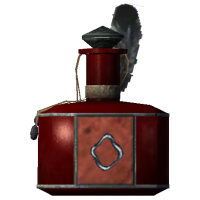 Every bottle of poison from Weak Poison to Deadly Poison drains more hp from the target. I haven't modify the damage it does but the time it keeps draining HP, so now you can poison somebody while pickpocketing and it will probably die with one dose over time, I have poisoned the entire town of Rorikstead without being noticed, just pickpocketing and nobody had a clue of why people were dying. I'm not sure about it, since i have not other mod to try it but it probably gonna conflict if another mod changes those values. You can install/uninstall it in the middle of your playthrough with no fear. if you want to thank me, you're welcome, if not, I guess i'll have to try harder next time.